If you have never worked with Arduino before, this page describes how to start with your Arduino that you can purchase via the shop . 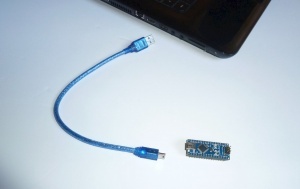 Using an USB cable, attach the Arduino (Arduino Nano or Arduino Mega) to your computer as shown below. If your Arduino is not recognised as an USB device after plug-in, try a different USB cable. 2. 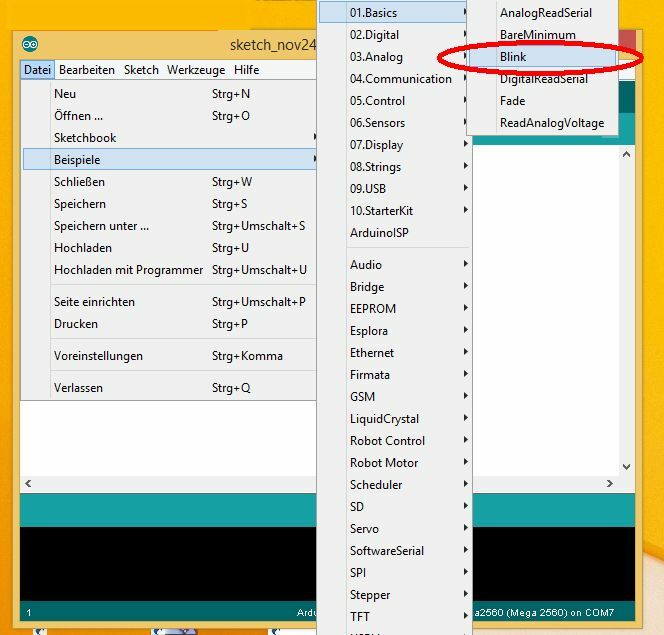 Navigate to and select the driver file named "arduino.inf", located in the "Drivers" folder of the Arduino Software download. Windows file explorer to run the installation. 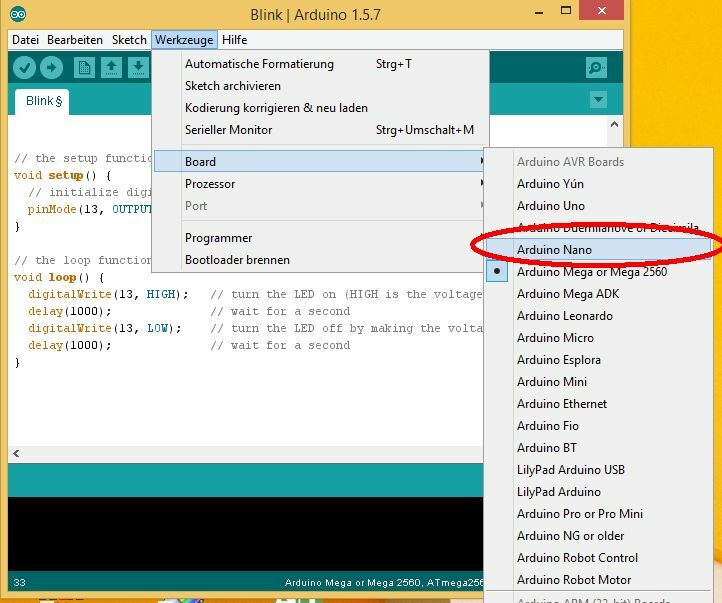 by double clicking the 'Arduino' symbol on your Windows desktop. and click on 'File->Examples->Basics->Blink'. This will load the Arduino blink example. (or Arduino Mega 2560 if you want to use a Mega board). Via the menu, click on 'Tools->Port', and choose the detected USB serial port. 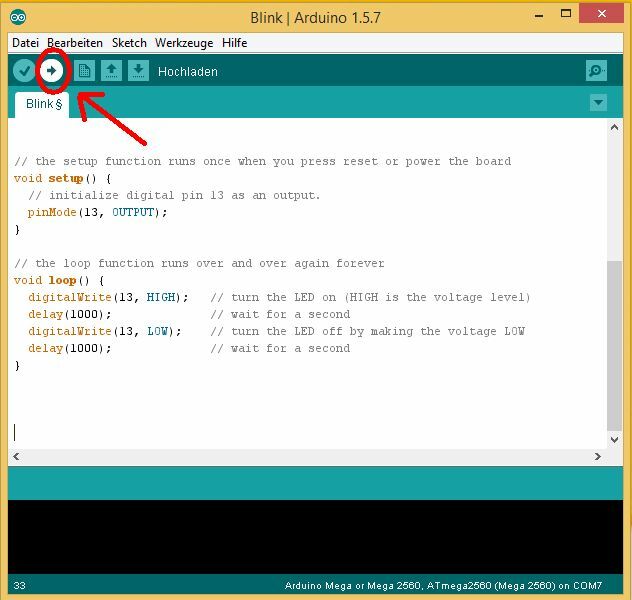 Click on the 'Upload' symbol to upload the blink example to your Arduino. 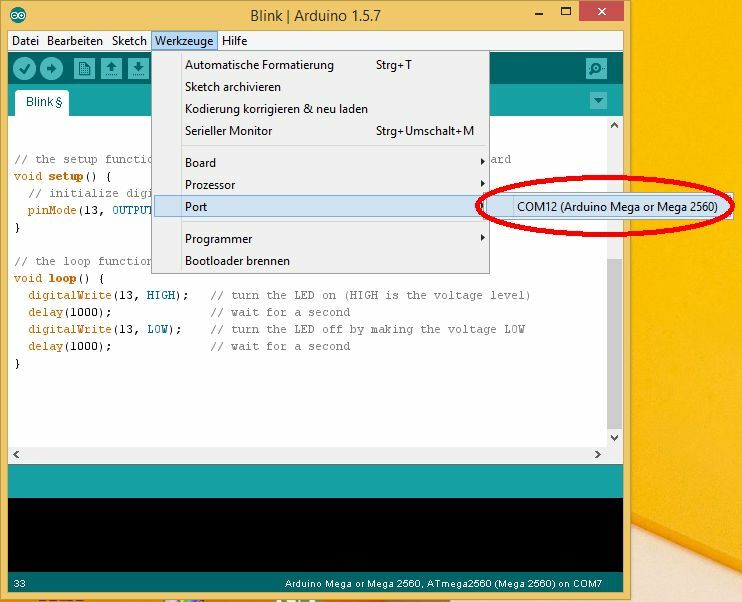 After the code is uploaded, your Arduino will start to blink! You have just programmed your first Arduino! (there is voltage on that pin)  or OFF (there is no voltage on that pin). OUTPUT   means that you can write (or control) the voltage of that pin. 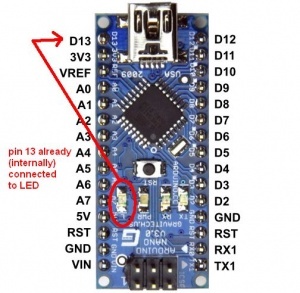 In the blink example above, we are using the LED pin (pin 13) that is already connected to an LED. Now you can try to upload the Ardumower code the same way as you uploaded the blink example! This page was last modified on 4 July 2017, at 09:51. This page has been accessed 47,103 times.